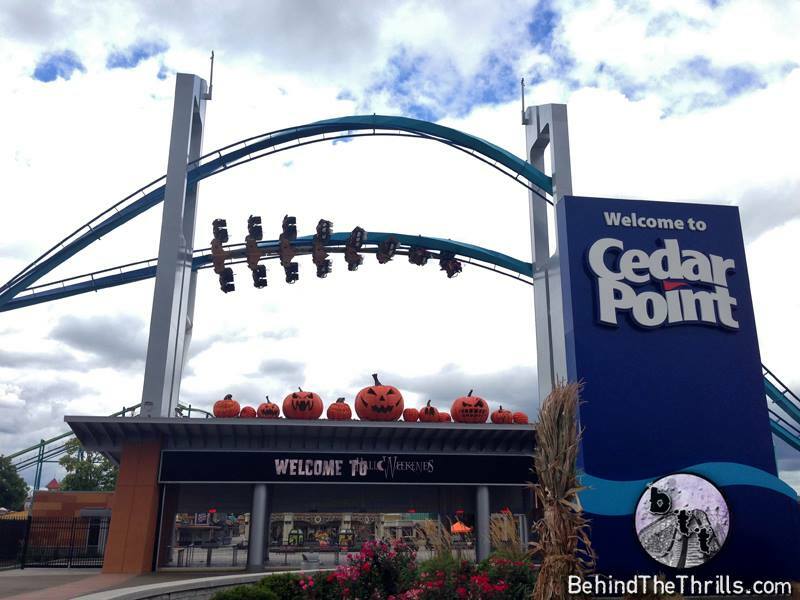 On Friday, September 13th, Cedar Point opened the gates for their 17th annual HalloWeekends! We were invited to check out everything the park has to offer in 2013 at their exclusive media day event! Following the successful format of the Gatekeeper event, CP hosted yet another great media day to unveil their new haunt, Zombie High School. The event included exclusive ride time on both GateKeeper and Millennium Force, a dinner at the Midway Market, and the unveiling of their newest haunt, Zombie High School! Lets face it, almost all major theme parks offer a Halloween event of some kind, BUT none offer the thrills of Sandusky, Ohio’s Cedar Point! 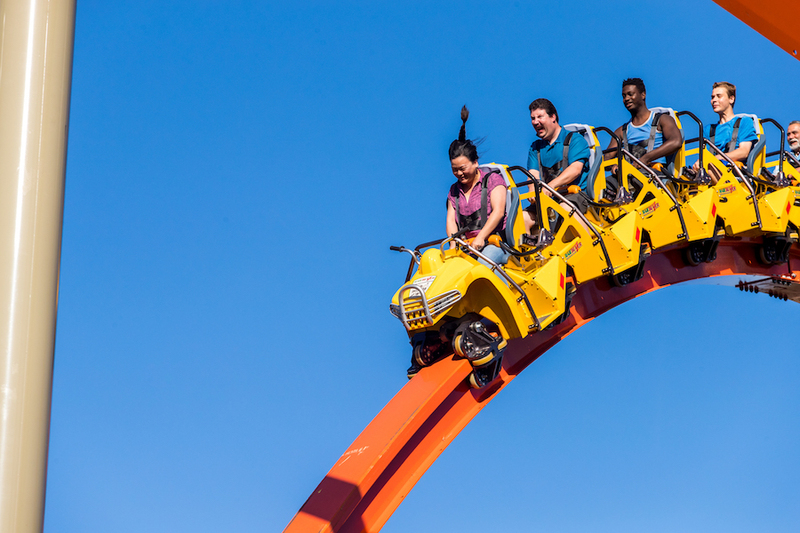 For Halloween, America’s rockin roller-coast offers over 10 themed attractions, six live shows featuring over 300 of the nations top screamsters, and even entertainment for the little ones! New for 2013 is “Zombie High School“, an indoor haunted attraction located near the park’s main entrance that puts its guests face-to-face with hordes of undead students who lurk among the halls, classrooms, the school dance, locker rooms, jockstraps.. wait… what!?! We have toured a lot of amusement park haunted attractions but ZHS takes haunting to the next level! The screamsters did a terrific job acting, especially for opening night! Branding the mascots to “Cleaver Beavers” was very clever.. There’s so much to see within the attraction that you may have to go through it a second time to catch all the details.. Especially in sets such as the cafeteria and science lab. Kudos to John Taylor and crew for another great attraction at Halloweekends! Although Zombie High School is new at Cedar Point, the haunt originated from CP’s sister park, “World’s of Fun” in Kansas City Missouri. “Zombie High School had such great success at our sister park World’s of Fun that we decided to bring it here to HalloWeekends. 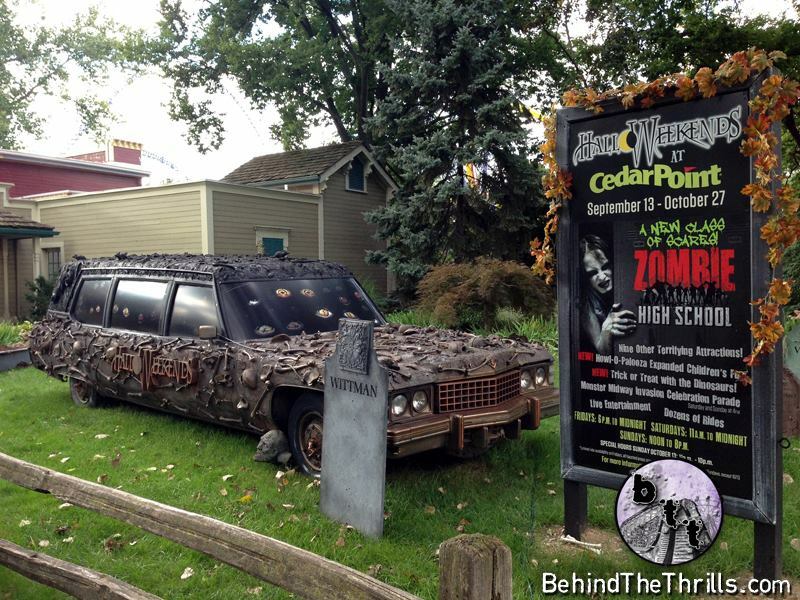 Zombie High School at Cedar Point shares some the same and also different elements as WOF. 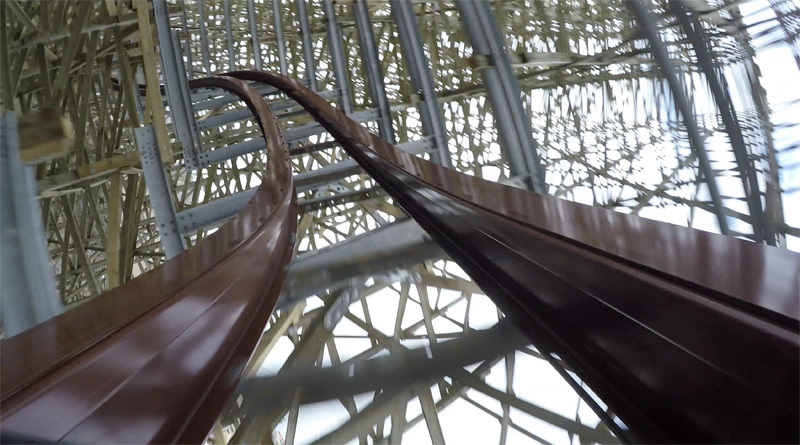 We have to give it our Cedar Point Twist theming it to Cedar Point and Sandusky Ohio.” says Annie Zelm of Cedar Point. Zombie High School replaces Club Blood, which was a vampire-themed attraction used at multiple Cedar Fair parks. So why the change? Annie explains that the market was a little over saturated with vampires. For the past five or six years it seemed as if everything was based on vampires. Now, the industry seems to be shifting towards zombies. “Zombies are really the hot commodity right now.. or rather the cold, dead commodity. There are lots of new zombie movies happening this year, which was part of the planning process. 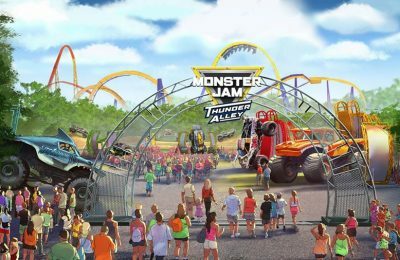 We always look into what is hot and popular for our new attractions, but John Taylor is really the master of mayhem when it comes to planning.” says Zelm. If you’re looking for ultimate thrills mixed with ultimate scares, then you need to check out Cedar Point and their new attraction “Zombie High School”! Returning in 2013 are three other indoor haunted houses which are Eden Musee, Eternity Infirmary, and G.A. Boeckling’s Eerie Estate. 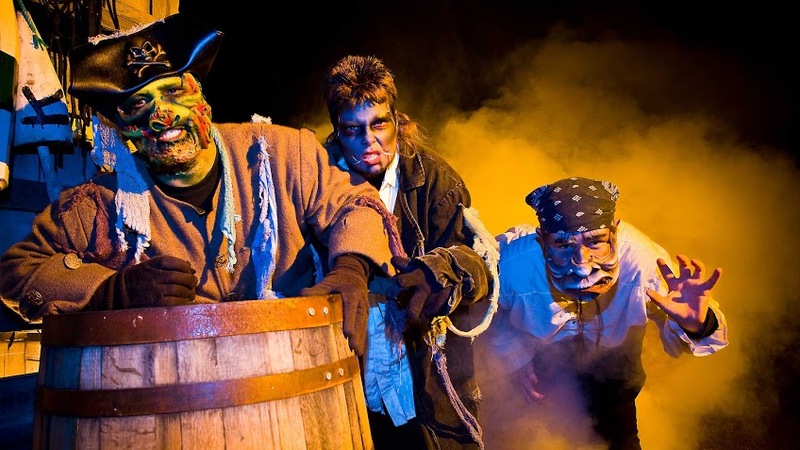 There are also six outdoor fright zones; Cut Throat Cove, Blood on the Bayou, Maniacal Mechanical Screamworks, Fear Faire, CarnEvil, and CornStalkers. Eden Musee is easily the stand out of the bunch. Eden Musee Wax Museum was a huge hit on it’s debut in 2012. 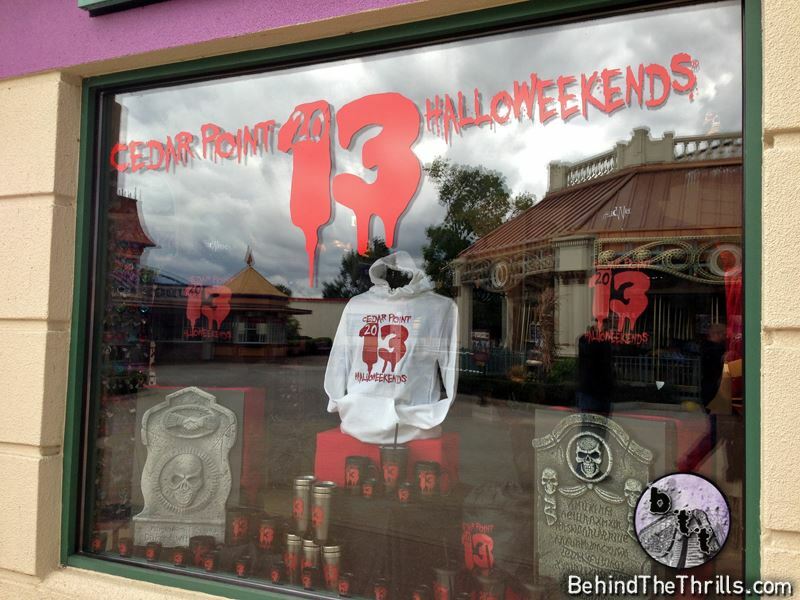 The haunt features over 69 scenes that will blow your mind! Walking through the attraction, it’s very difficult to decipher which characters are static props and which are real life actors. The boiler room is truly one of a kind! If you look closely, you may see pieces and parts from some of your favorite rides that are no longer in operation! 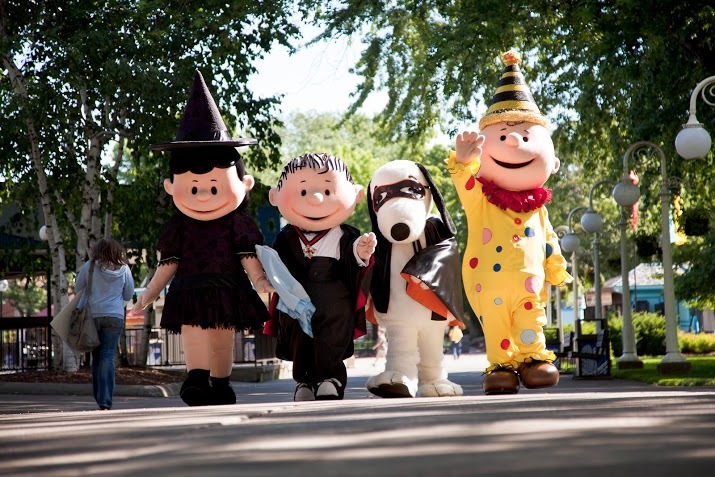 Besides haunts, games, and rides, HalloWeekends also features family fun during the day, including live shows, a kids’ costume contest, the new Trick-or-Treat with the Dinosaurs at Dinosaurs Alive ( for an additional fee), the NEW Howl-O-Palooza kids area, and a Halloween parade with floats. There’s even old non-operating classic rides randomly placed throughout the park for photo ops! There are four live shows including magic and music in addition to select time frames in which you can meet with a fortune teller. Our favorite sow of the evening was the cirque inspired show called “Skeleton Crew”. 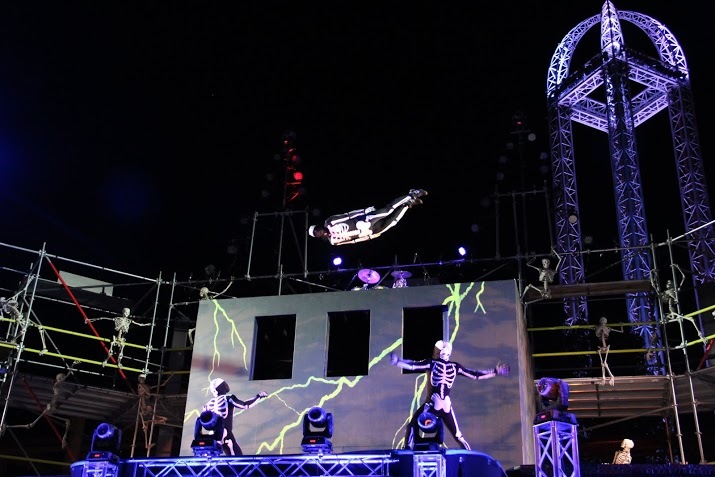 The show takes place at Celebration Plaza on the state of the art luminosity stage and features a spectacle of pyro, aerobics, and aerial acts. 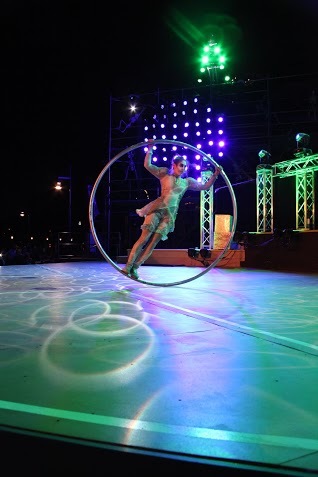 If you have ever seen a Cirque du Soleil performance, you may find this similar but with a very cool twist! This was by far the best show we have ever experienced as a Halloween only experience! The exceptionally talented cast provided an exciting and flawless performance! If you are like us and sticking around town after you leave the park, you can usually catch up with the cast at the local watering hole “Thirsty Pony”! 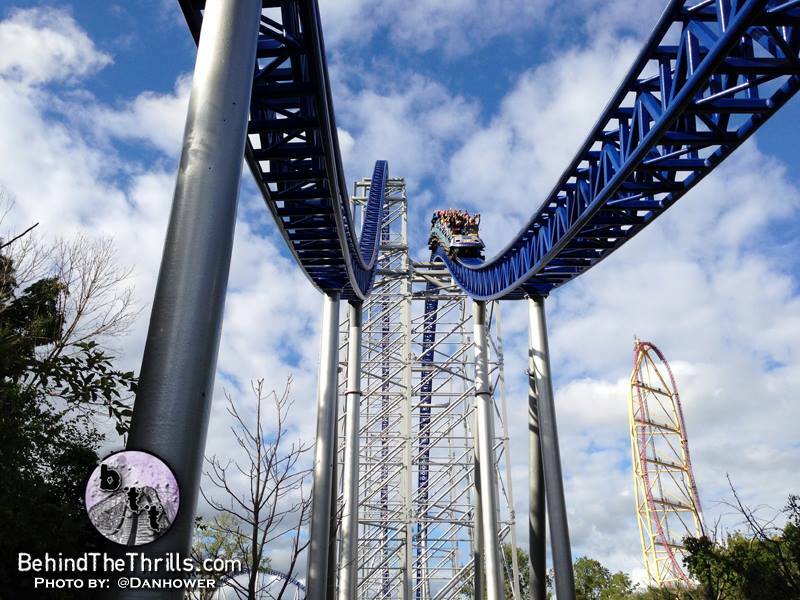 Along with all the great Halloween activities Cedar Point has to offer, you can still enjoy the park’s awesome lineup of thrill rides including the record breaking wing coaster known as Gatekeeper and Millenium Force, which recently won a golden ticket once again for being the BEST steel coaster in the world! This year Cedar Point has stepped up their game with a nice lineup of merchandise! Everything from hoodies to beanies, to new limited edition shot glasses! If you don’t like waiting in lines, we suggest to purchase a Fright Lane Pass and skip the lines! The Fright Lane pass allows guests to skip the line and is available for an additional fee. 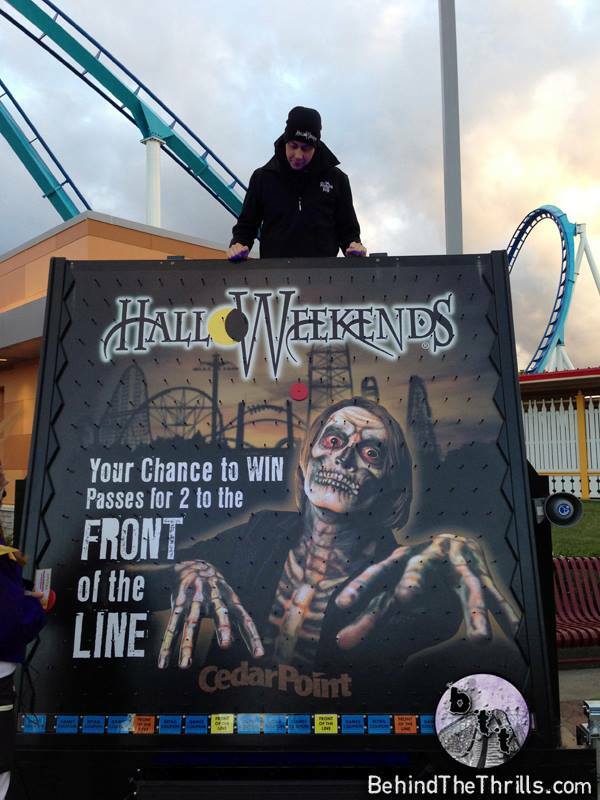 If you don’t want to spend the extra cash on Fright Lane, you can win a front of the line pass playing PLINKO! Plinko is available throughout the park near the entrance to select attractions. Cedar Point’s HalloWeekends is open from 6 p.m. to midnight on Fridays, 11 a.m. to midnight on Saturdays and noon to 8 p.m. on Sundays through Oct. 27. 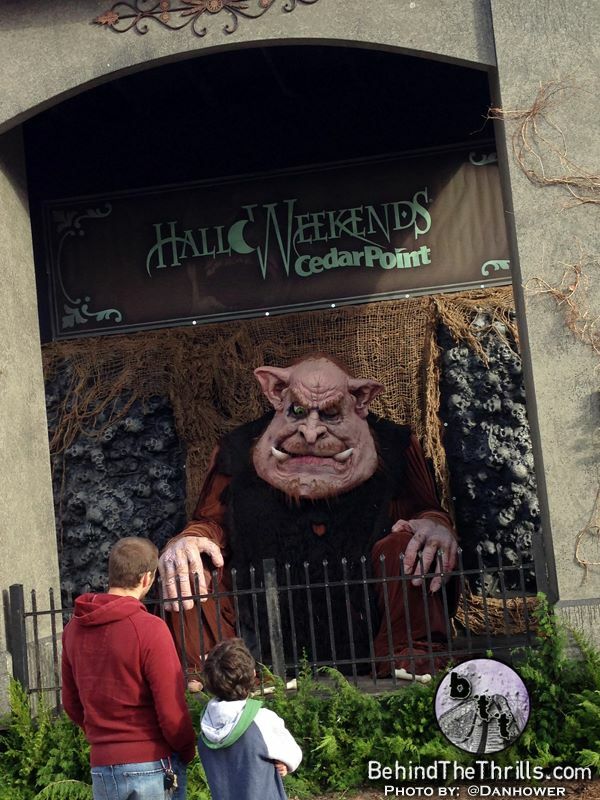 Special hours on Sunday, Oct. 13 are 11 a.m. to 10 p.m. For more information and to purchase tickets for HalloWeekends, visit the official Cedar Point website here! Check out more pictures from the event! Slideshow not working on your device? Click here for more picture goodness!